PLEASE, USE OUR NEW SITE ! Address: Blvd. Lascar Catargiu 21, Bucharest, Romania. The building of the "Admiral V. Urseanu" Astronomical Observatory of the Municipality of Bucharest. Scope: The Association, which obtained juridical personality in 1998, is studying the unidentified aerospace phenomena in keeping with the knowledge and the hypothesis of the contemporary science, with emphasis on the Romanian cases. In this purpose, we resort to the support of the institutions, which hold specific information, and laboratories endowed with modern apparatus. We use also to estimate the social and psychological effects of the unidentified sightings, having in view a correct information of the public at large, through our web-site and through the mass media. In view of the overall character of the unidentified aerospace phenomena, we want to establish a strong cooperation with other organizations, for a profitable exchange of data, methods and opinions. Achievements: studying of several Romanian UFO reports, public conferences, UFO courses, several books on this subject published in Romanian by the members, papers, many radio and TV comments on current events, personal contacts with other UFO researchers, mainly in Europe, both West and East. Future plans: To expand our activity through regional offices in Romania, to establish contacts with other organizations in this field, mainly through the web, to realize courses for Romanian students in UFO research. Publications: we have not our own periodical. Our members publish mainly in Romanian popular science magazines or in books. 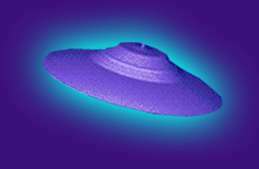 We published some papers in the European Journal of UFO and Abduction Studies (EJUFOAS) from Southampton, Great Britain (1999-2003), and we were represented in its editorial board.